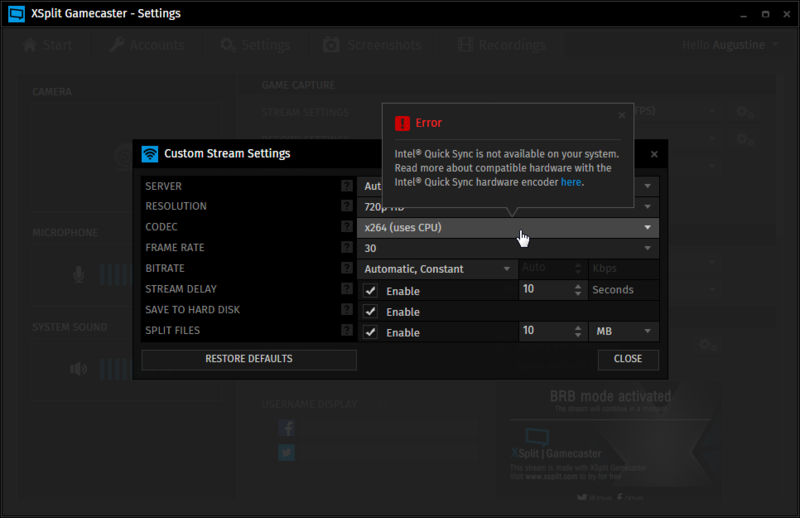 支持 > XSplit Gamecaster > Frequently Asked Questions > Advanced > What encoders does XSplit Gamecaster support? 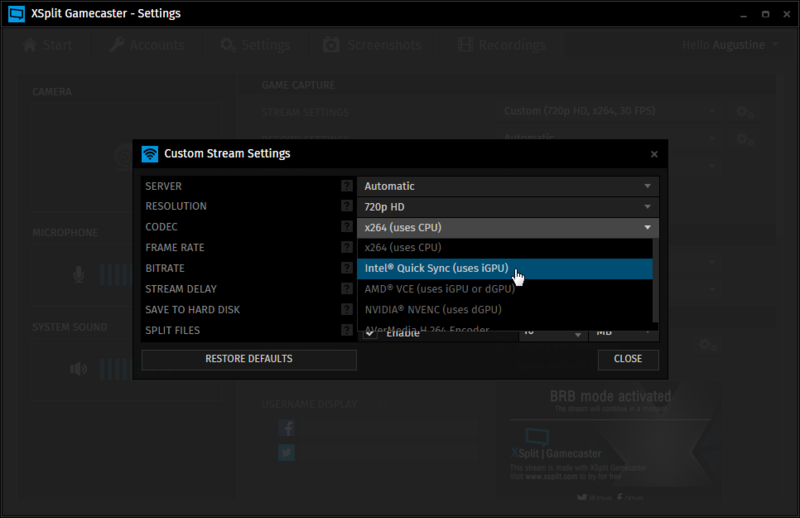 The x264 software encoder is built into XSplit Gamecaster and available on all platforms. For live streaming, it is important to get the highest possible quality at the lowest possible bitrate, so XSplit Gamecaster will always use the x264 software encoder as its default for live streaming in automatic mode. Intel Quick Sync is available on most Intel® Core™ processors starting from second generation Sandy Bridge (2011) and up. On laptops with Intel processors and a single discrete graphics card, Intel Quick Sync will always be enabled and ready. 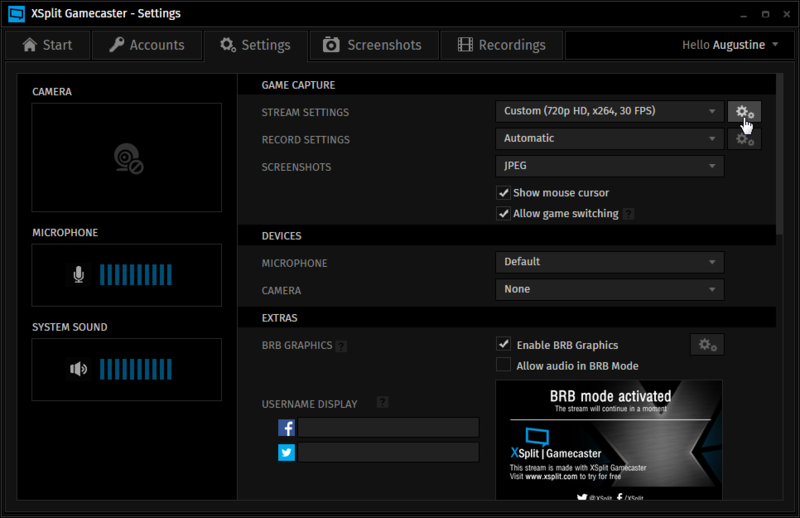 On desktops, it may require additional settings. NOTE: The maximum FPS currently supported for VCE is 30 FPS. 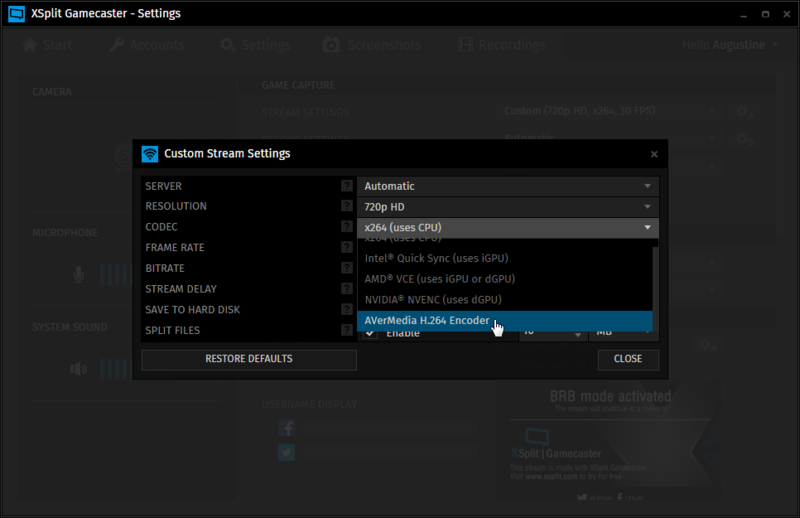 AVerMedia’s H.264 hardware encoder is available on the Live Gamer HD and Live Gamer HD Lite.